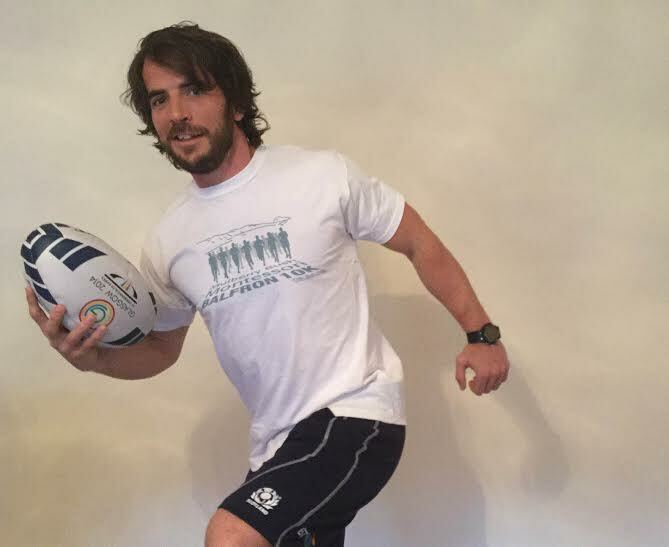 Scotland’s Rugby Sevens captain Colin Gregor will kick off this year’s Mulberry Bush Montessori Balfron 10k. Colin, 33, a former pupil of Balfron High School, will officially start the popular running event in the shadow of the Campsie Hills on Sunday, April 26. Over 600 runners from all over central Scotland and further afield will tackle the spectacular route while raising funds for Scotland’s Charity Air Ambulance and Balfron’s schools. Although disappointed not to be running in the event due to having to prepare for the next round of the HSBC World Sevens Series in Glasgow on May 9th and 10th, Colin will be cheering on the competitors and presenting prizes to the winning athletes. The event, consistently voted the number one 10k in Scotland by the readers of a national running magazine, has so far raised more than £55,000 since it began back nine years ago. The principal sponsors of this year’s event are Mulberry Bush Montessori and CALA Homes.